Originating in Sicily Italy, the Villafranca Lemon is the ultimate lemon for those who love a deliciously tart complex scent of sweet bergamot. Our Villafranca Lemon Crumbzz Cake is a wonderful combination of the Villafranca Lemon tartness and the Maldive Island Dark Brown sugar sweetness. 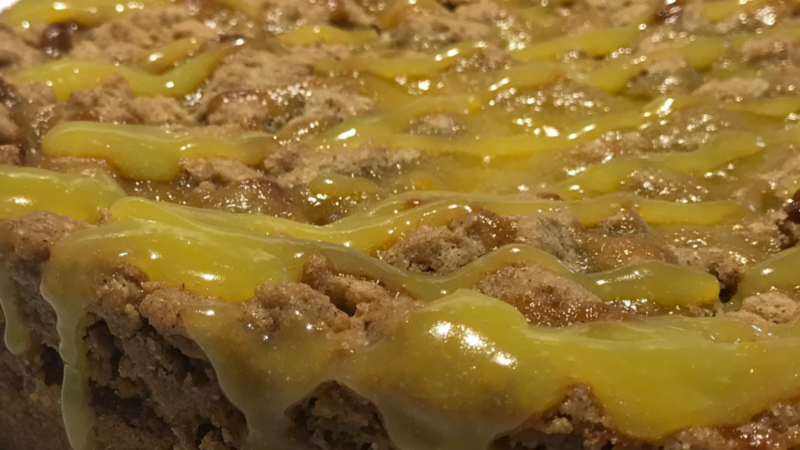 Blended along our moist golden yellow cake, our Old World Classic Crumbzz topping, and the tart Villafranca Lemon curd, this is as good as it gets for a fruit lover. J Stephen's new hardcover book is also a great gift for yourself or a loved one, friend or coworker.